Young Gifted and Black: Its the Real...Hip Hop! De La Soul releasing new catalog for FREE! Its the Real...Hip Hop! De La Soul releasing new catalog for FREE! Okay, I barely recognized them in this picture....although I must have seen it several times come across my networks. De La Soul...ya'll, is who it be, and we're excited about this news of much needed authentic hip hop being released by the trio. 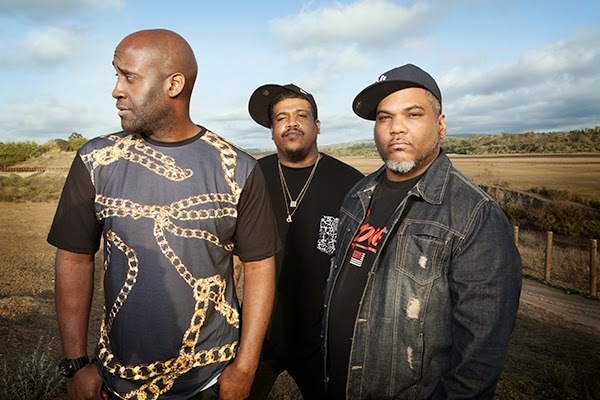 "It's about allowing our fans who have been looking and trying to get a hold of our music to have access to it," De La Soul member Posdnuos tells Rolling Stone. "It's been too long where our fans haven't had access to everything. This is our way of showing them how much we love them." The same things that made 3 Feet High and other De La albums so influential — its creative, if not fully licensed, use of a myriad of samples — has also prevented the group's work from appearing on many digital platforms. "It's been a trying journey," admits Posdnuos. "We've been blessed to be in the Library of Congress, but we can't even have our music on iTunes. We've been working very hard to get that solved." The rapper points to frequent personnel changes at record labels and hazy language in early contracts that have led to long delays in properly clearing the group's catalog.